We can produce a custom made range of lenses to standard or custom supplied specifications. Our manufacturers can accommodate prototype/R&D, batch runs to production quantities. Our optical lenses are used from simple collection of light to precise imaging made to precision or commercial quality. 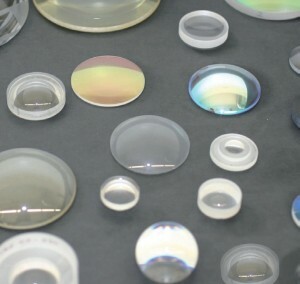 The custom made product range of optical components and technical glasses are made to customer drawings and specifications. We are your partner for sophisticated, customized optical microstructures. Cementing and assembly and testing. This ensures a consistently high quality of graticules, scales, reticles, pin holes, apertures, calibration plates, resolution targets and others in single pieces and small batches as well as in high-volume serial quantities. Depending on your specific application, you have the flexibility to select amongst a variety of substrate options and surface finish quality. Continuous advancement in our technology, investments in in modern equipment in all areas of production, our highly skilled team with extensive experience and the superior quality of our products have made us one of the leading suppliers of optical microstructures worldwide. Leading international companies in sectors such as metrology, machine vision, medical & laser instrumentation, semiconductor processing and aerospace/defense put their trust in our products and services. Please also review our product offering of Standard-Microstructures. The graticules shown here are offered as standard products for sale as individual items with prompt delivery from our stock. In addition to the standard products we also design and produce customized microstructures according to customers special designs and requirements for an unlimited number of applications.